One of the oldest and most potent natural stimulants, the leaves of the coca plant are the organic source from which cocaine is synthesized. Fresh coca leaves and products made from them have verified medicinal and healing properties--and not the same addictive qualities or negative side effects as cocaine. In the late 19th century coca products became hugely successful in Europe and the United States. The most famous was Vin Mariani, a coca-based tonic wine developed by Corsican pharmacist Angelo Mariani (1838-1914). Many celebrities sang its praises, including Pope Benedict XV, Sarah Bernhardt, Thomas Edison, H. G. Wells, William McKinley, Emile Zola, and the doctors of Ulysses S. Grant, who credited Vin Mariani with giving him the strength to finish his memoirs before his death. 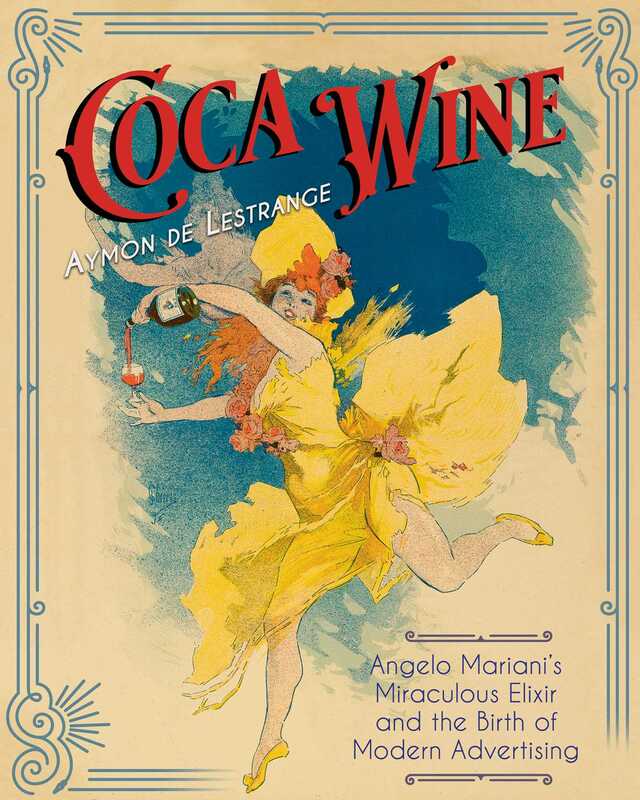 In this full-color illustrated history of coca wine, the first of its kind, author Aymon de Lestrange follows Mariani’s interest in coca from its medicinal applications to the creation of the tonic wine. The author explores the botany of coca, how it differs from cocaine, its traditional use in pre-Columbian America, and scientific studies on coca from the 17th through 19th centuries, including from Sigmund Freud, who was a known user. He describes the introduction of coca in the U.S. and France and the many coca preparations then available at drugstores. He also studies the introduction of cocaine in these two countries and the prohibition laws that followed. Aymon de Lestrange demonstrates how Mariani became, in many ways, the father of modern advertising with his highly successful advertising campaigns. He includes vivid reproductions of Mariani’s advertisements, many not seen since their original publication in the late 19th and early 20th centuries, and shows how Mariani commissioned the top writers and artists of the day, such as Jules Chéret and Alphonse Mucha, to produce works celebrating coca wine. The author reveals how Vin Mariani was the forerunner of Coca-Cola, which clearly plagiarized not only Mariani’s product but also his advertising methods.